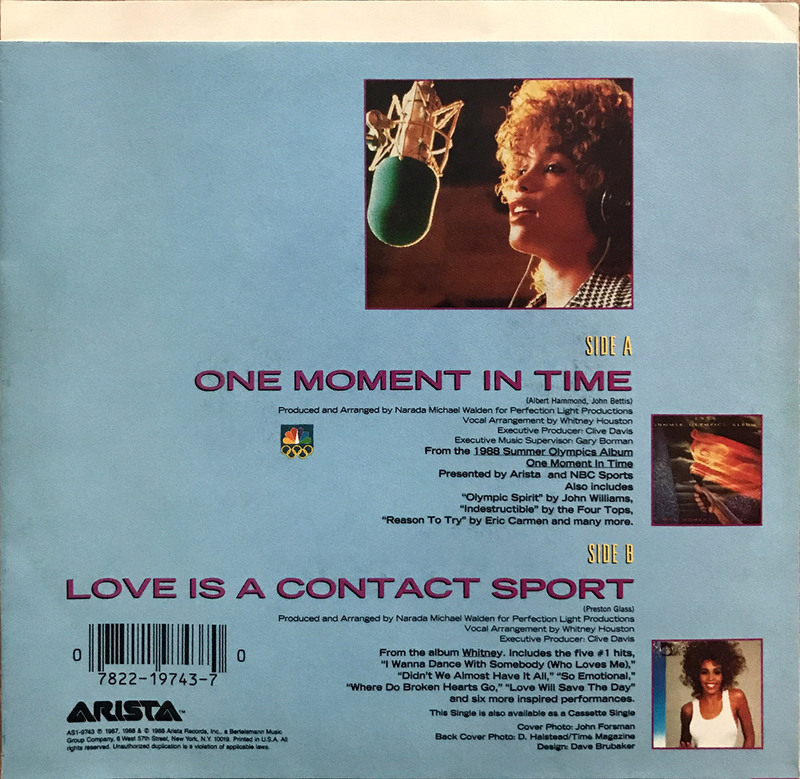 Whitney Houston’s “One Moment In Time” was the official song of the 1988 Summer Olympics in Seoul, South Korea. 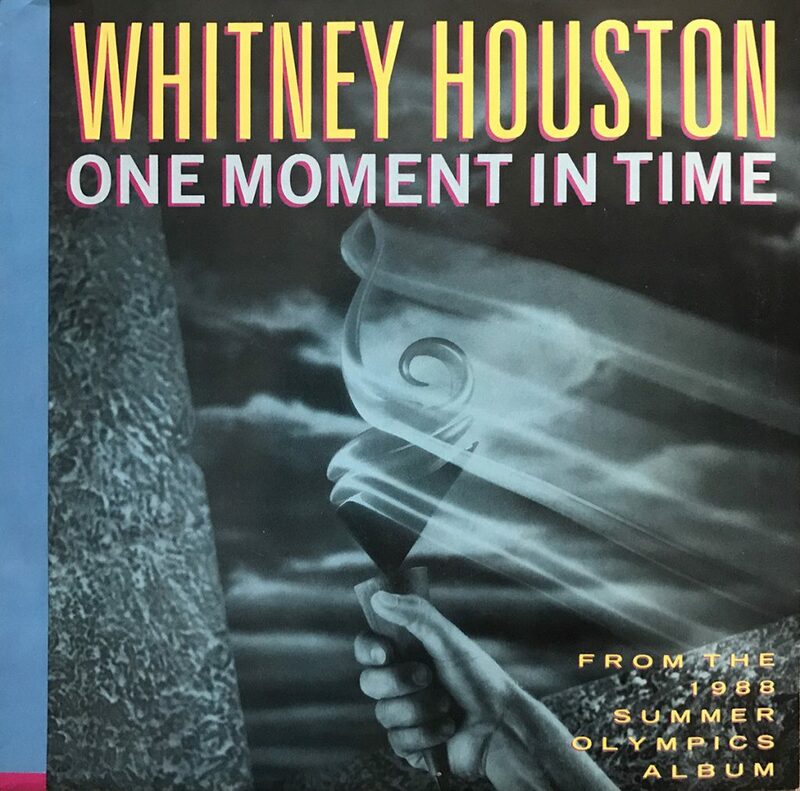 The song was the title track for the 1988 Summer Olympics Album: One Moment In Time, and was released as a worldwide single, reaching #1 in the U.K. and Germany, and the Top 5 in the U.S. and many other countries. Whitney received a GRAMMY nomination for Best Pop Vocal Performance, Female, and opened the award show with a live performance of the song, which was later released on the compilation album Grammy’s Greatest Moments, Vol II and the 2014 album Whitney Houston Live: Her Greatest Performances. Producer: Narada Michael Walden for Perfect Light Productions, Inc.